How can I find the time schedule of flights to/from a given airport? I would like to fly from Budapest to Ovda January 7 +/-1 day. The Ryanair direct flight on January 6 is brutal early -- based on my experience going to Israel, two hours prior is tight so we are talking of being at the airport at 4 am at the latest. I am flying to Vancouver less than a week later. Nope. It's the absolute last resort. I would much rather fly to roughly anywhere in Europe (not Tel Aviv at least), sleep and take a flight the next day at a sane hour (10 am earliest) to Ovda. 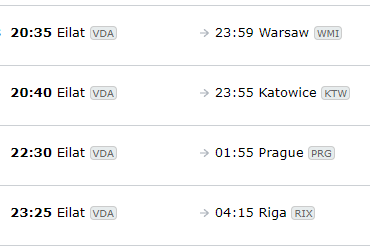 I found a list of flights to Ovda, but is there a better way than searching all of these separately to find out when they do leave (and then separately find a matching flight from Budapest the day prior which is easy)? Matrix and Azair both just gave up finding nothing. Skyscanner and Google Flights find one (the same) going through Kiev but I'd like to explore options before taking that one especially because it's more than 200 USD. I am keeping my original answer below because there's so much more you can do with Expertflyer -- but there's a better trick for Ovda specifically. 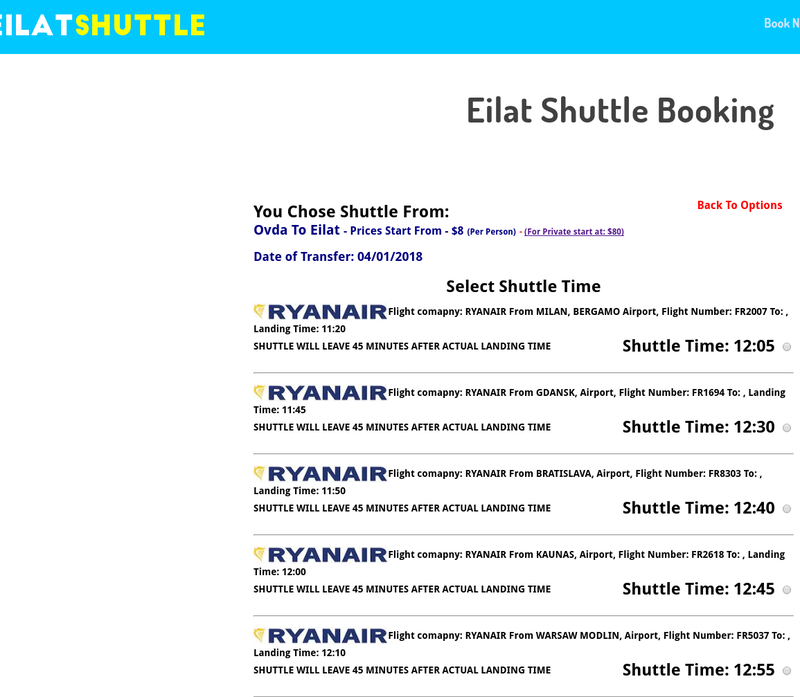 You need to get from Ovda to Eilat anyways and so you will go to the https://eilatshuttle.com page because there aren't that many options for doing so. And this company, when you book your shuttle shows all the flights landing in Ovda (or leaving from Ovda if your search from Eilat to Ovda). I found that Expertflyer has a Flight Timetables option on the sidebar and it has a "Search By Departure/Arrival City" tab where you can set the arrival city and the date and after search the "Refine search" doesn't actually refine but allows you to edit so you can quickly search all three days (creating a UX like this, that's a paddlin'). It seems the best (only?) choice is Wizz Air on Thursday from Prague for this winter. And for next winter it'll be something else with Ramon airport -- but Expertflyer will still be valid. Not the answer you're looking for? Browse other questions tagged air-travel online-resources or ask your own question. How to filter flights by arrival time? Where can I find the Minimum Connections Times for a given airline/airport?